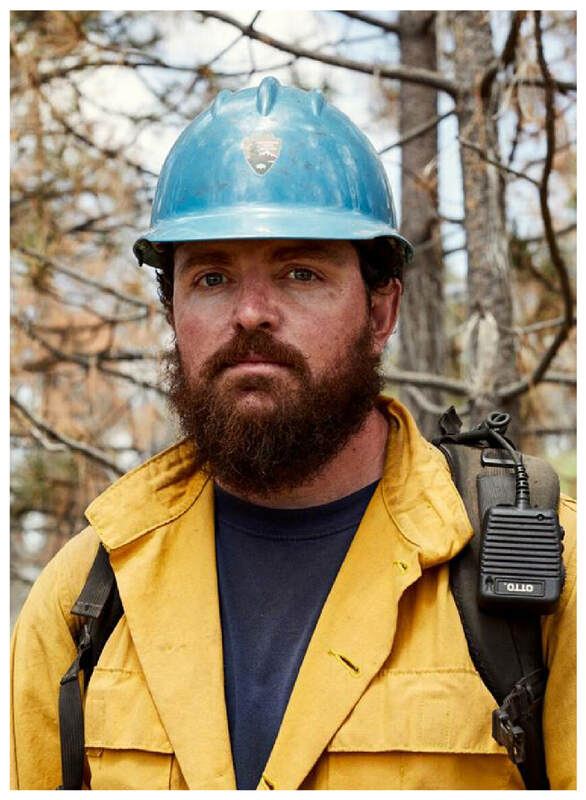 Brian Hughes, Captain of the Arrowhead Interagency Hotshots based in Sequoia and Kings Canyon National Parks, lost his life in an accident on the fireline on July 29. He was 33. Captain Brian Hughes was born on August 1, 1984 in Hilo, Hawaii. He grew up near Akaka Falls and attended Hilo Union, Hilo Intermediate, and Hilo High School. As a child, Brian loved running around and playing sports. He enjoyed swimming and surfing, and was most at peace in the ocean. He started his own yard business at age 13, with the hopes of saving up to buy a car. The business was a booming success, leading Brian to set higher and higher goals for himself, and to work hard at everything he set his mind to. He loved outdoor adventure, and learned to be self-reliant in the wilderness. In high school, he was a star athlete in varsity soccer, track, and cross-country. Aside from a brief, youthful aspiration to become a stunt man, Hughes’ career goal was always to become a firefighter. His first professional job was with the Larimer County Yellow Jackets, an emergency fire and rescue unit in Fort Collins, CO. After two years, in 2006 he was hired as a seasonal hotshot in Alaska on the Midnight Suns crew. After that first taste of hotshot life, he was hooked. The next year he joined the Roosevelt hotshots, where he worked from 2007-2009. It was there that he met Joe Suarez, who would later recruit Brian for the Arrowhead crew. In 2010, Brian joined the Monterey hand crew on the Los Padres National Forest. His dream was to build that crew to hotshot status. During his years on the Los Padres crew, he in detailed multiple positions to get captain experience, and completed every task book he could get his hands on. After four years with the hand crew, he joined the BLM in Alaska as a specialist. During that year, he enthusiastically took on the tasks and details needed to achieve captain’s qualifications. Brian moved to Squaw Valley, California in March 2015, and assumed the title of captain of the Arrowhead Interagency Hotshots. As captain, Brian was a trusted leader and mentor to the crew. He led by example, inspiring others to train hard, develop their skills, and understand not just how, but why things are done the way that they are. He intuitively grasped big-picture strategies and was able to effectively break down these strategies into actionable steps. His crew looked up to him and loved him as a brother. Brian always put others first, stopping to help people no matter what. He was positive, funny, and selfless. A man of strong morals, Brian had a clear sense of the right thing to do at the right time. He loved the camaraderie of the team, and drove himself to contribute as much as he could to the group. He was sharp, savvy, and loved to learn new things. Around his friends and family, Brian was relaxed, carefree and silly. He had a dry sense of humor and would crack himself up when he let his guard down. He was a friend to everyone he met, and everyone who interacted with him walked away with a smile. Brian is survived by his parents, Peter and Suen Hughes of Hilo, Hawaii; his sister, Meriel Hughes; and his fiancée, Paige Miller, who is expecting their child in February 2019. Brian will be sorely missed by these loved ones, and countless others whose lives he touched. Memorial services for Brian were held in Fresno, CA on August 4th, 2018, and in his hometown of Hilo, HI on August 12th, 2018. To be used ONLY to send logistic details and updates regarding the memorial service. Fire agencies are invited to participate in the procession from the staging area at Chukchansi Stadium to Valdez Hall - Fresno Convention Center. Procession registration is limited to one chief officer and one fire apparatus. Media is not permitted to live stream the event. Hover over photo to scroll through images. Add condolences or memories below to this page. ​Please note, all comments will be public.